Luxury living at its finest with an opportunity to earn rental income, work at home, or run your own dream shop. Located in quaint Haile Plantation Village Center. Over 4600 sq. ft. of residential living space on 2nd & 3rd floor & 1563 sq. ft. of retail/commercial space on 1st floor. This amazing "Pent House" is in a mixed use building & perfect for the urban style buyer wanting all the bells & whistles. Superb construction and engineering, elevator, high end wood floors, marble bath fl., extensive granite. 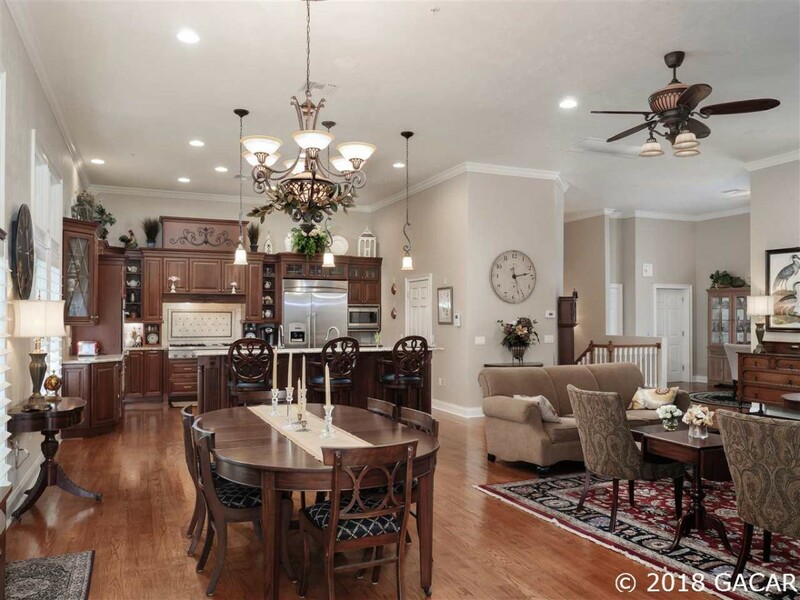 3nd fl includes an amazing kitchen that will impress the serious cook with high end appliances, granite & custom cabinets overlooking great rm w/fireplace, dining rm. , breakfast rm. and balcony with summer kitchen. This spacious open concept is perfect for entertaining with high volume ceilings and a media rm. with screen & bath. 2nd fl. includes bedrooms, baths, office and a flex/playroom. Entry foyer on first floor with elevator. Retail space has bath and mini kitchen. Many more special features too numerous to list, must see to appreciate. Walk to restaurants, shops, farmers market. Optional golf and country club.